With a landscape speckled by grand hotels and their private pools, lush green gardens that smell like heaven and sparkling water stretching off into the distance, Lake Como provides the perfect summer holiday destination. Media attention brought to the area by the presence of VIP residents has definitely raised Lake Como’s profile. Millions of people from across the globe now visit the lake in hope of catching a glimpse of a Hollywood star on their private boat or the deck of their villa. 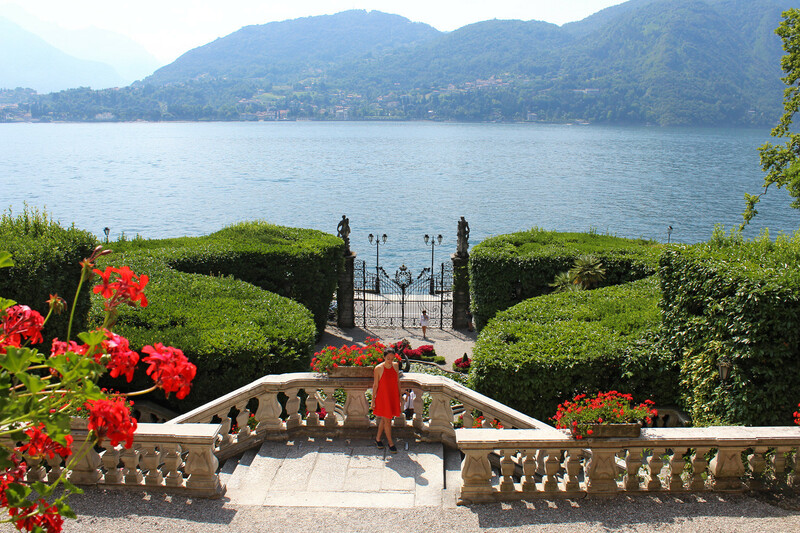 Lake Como is also considered a must-see by cinephiles for being the setting for several contemporary hits, including the Star Wars prequels and the James Bond reboot Casino Royale. A little bit of geography: the lake is long and thin and runs about 50 km from north to south. The southern half of the lake to the south of Bellagio is divided into two separate ‘forks’, with Lecco along the shores of the eastern fork and Como at the base of the western fork. Often referred to as the ‘pearl of the lake’, Bellagio is a lovely town with a great deal of charm and character. Start your visit in the harbor, then walk along the promenade admiring the gorgeous view. From here you can continue into the lovely network of ancient streets and alleys and picturesque houses. Both the upper and the lower level of the city are characterized by charming little shops selling local handicrafts, textiles, ceramics, glass and wooden objects. Just grab some gelato and roam around! Varenna’s sunny position facing south offers an amazing panorama over one of the most beautiful sections of Lake Como, with Bellagio in front and Menaggio to the right. It’s one of the best preserved medieval centers of the entire lake area, with its charming, steep cobblestone streets, porticos and historic churches. 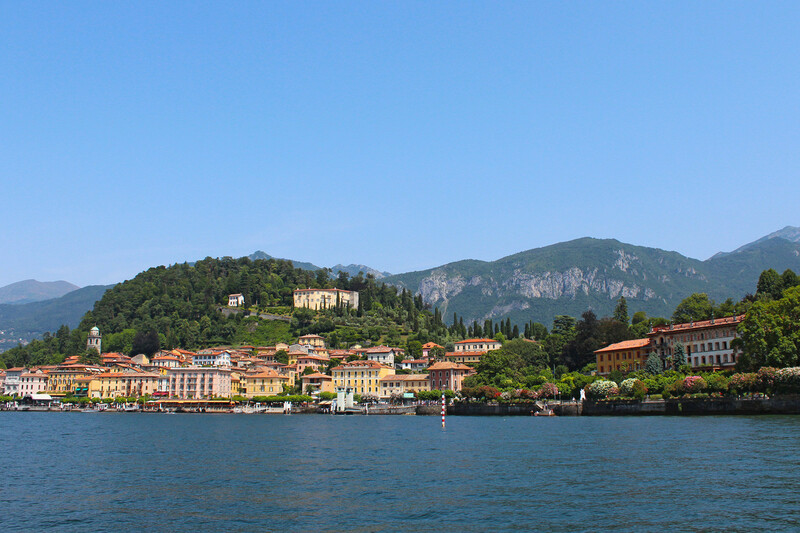 Start your visit to Varenna with a promenade along the waterfront. 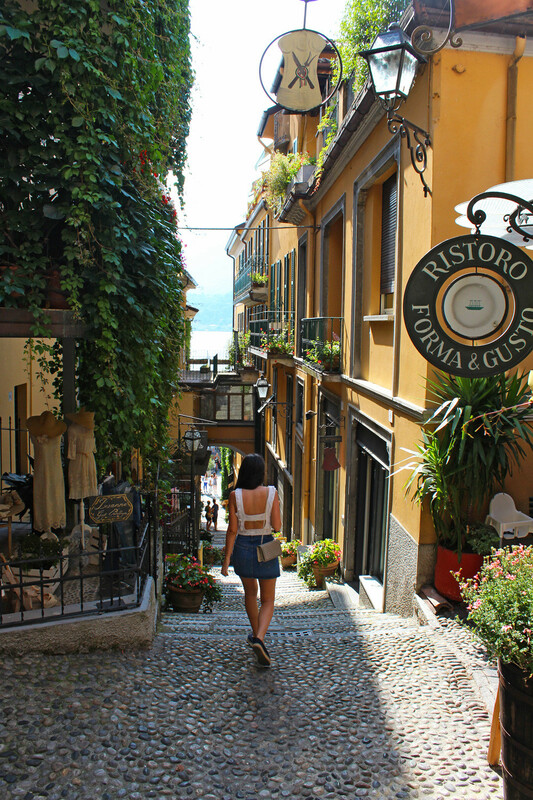 It is all very picturesque: with its colorful houses set on the side of Lake Como and its little alleyways running up from the shore – a reminder of its fishing-village origins – its attraction for visitors is obvious. There is even a small stony beach and a couple of ice cream shops on the waterfront. Tremezzo is a town and resort about half way down the western side of Lake Como, most visited for the Villa Carlotta. 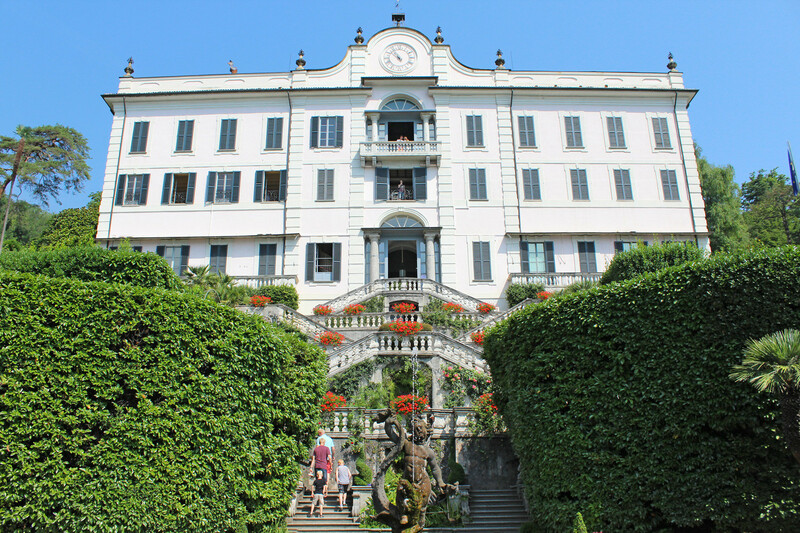 Start off by taking a stroll along the waterfront of Lake Como, then head off to visit Villa Carlotta, perhaps the most beautiful gardens to be seen on Lake Como. It’s a place of rare beauty, where masterpieces of nature and art live together in perfect harmony in over 70.000 square metres of gardens and museum. The villa became a temple of XIX century art with works of Canova, Thorvaldsen and Hayez: Palamedes, Eros and Psyche, Terpsychore, The last kiss of Romeo and Juliet are only some of the masterpieces that enriches the extraordinary collection. 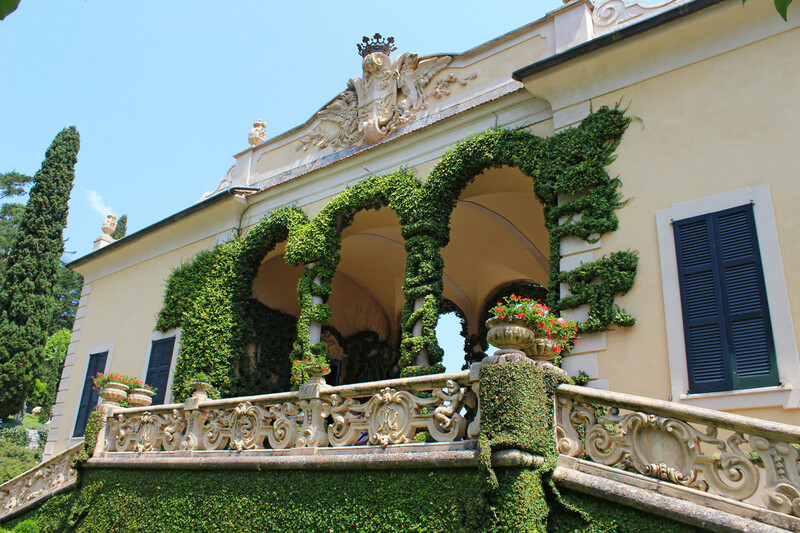 Villa Balbianello is located in Lenno on the slopes of the Lavedo peninsula. The villa is stunning and blends perfectly with the landscape, while its garden is built on five levels decorated with beautiful railings terraces. Originally a private, secluded retreat of a Cardinal, eventually it made its way into the hands of Italy’s James Bond. Guido Monzino, a son of a wealthy Milanese businessman and passionate traveler, bought the villa in the mid-70s. Fay Ce Que Voudras (“do as you please”) is what you see engraved on the entrance gate when you arrive by boat. I bet he was quite a player back in the day, huh? He willed the villa to the FAI (Italian national trust) which is why mere mortals like us can now visit. You can reach this lovely villa by boat or from a path going through the woods separating the villa and the village of Lenno. Either way, you’re going to love it. Menaggio is one of the most visited resorts on the shores of Lake Como, particularly popular because of its pretty promenade and town to explore. It is located at the beginning of a valley called Val Menaggio that connects Lake Como with Lake Lugano in Switzerland. Menaggio is well placed for hiking and cycling in the surrounding hills and has a wonderful lido for swimming and an 18 hole golf course. 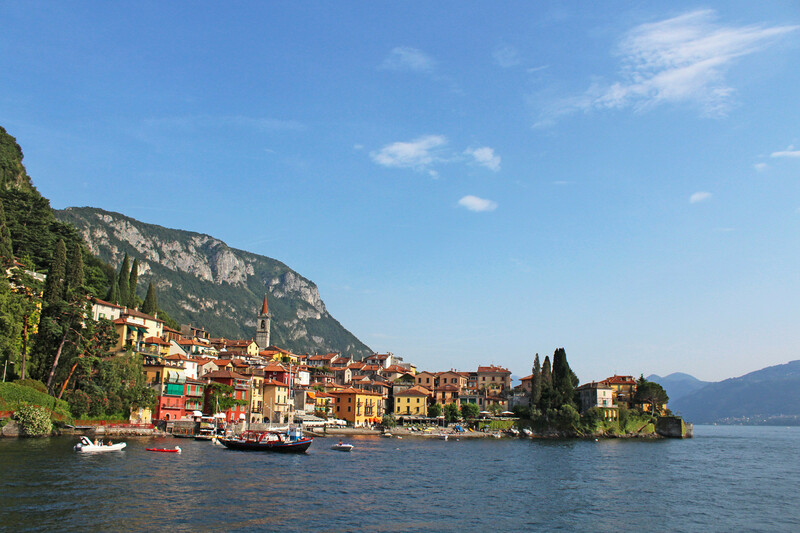 Argegno is not as glamorous as Varenna and Bellagio, and that is its charm. Impervious to the frenetic activity on other parts of the lake, it has retained its individual character, and remained a simple, unspoilt village where locals far outnumber visitors. It offers travelers a glimpse of authentic village life. 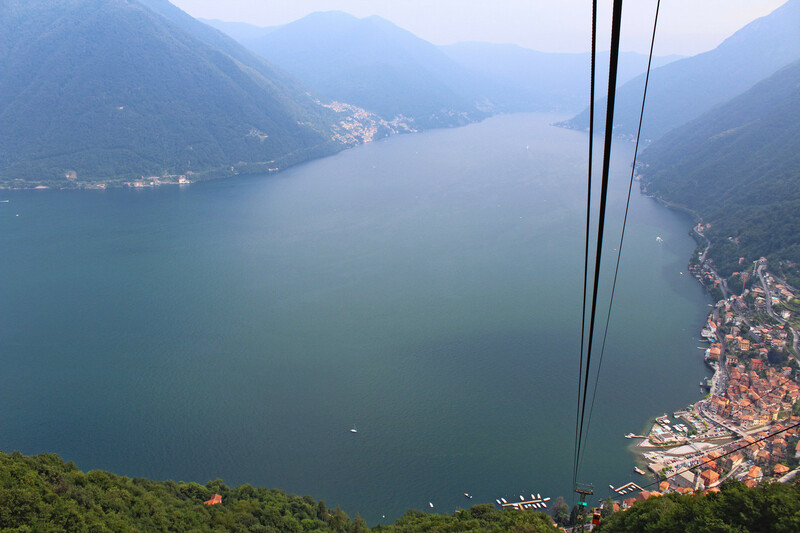 Argegno is well known for its cable car that takes you up to the town of Pigra which is at an 800m altitude. From the top the panoramic views are incredible. Traveling around Lake Como couldn’t be easier, as the lake has excellent transports links and you can get around by boat, car, foot or by bus. There really is no better way to take in the breathtaking scenery and explore the larger towns around the lake than by boat. You have a choice of slow boats, fast boats and hydrofoils, and all are “reasonably” priced. The central lake ticket includes Menaggio, Varenna, Bellagio, Cadenabbia, Tremezzo and Lenno, and you can buy it at the “Navigazioni Lago di Como” ticket offices at the local boat landings. You can find a map and more info here. The one-day pass (€15,00) is a great option if you want to spend a day visiting numerous locations around the lake which are accessible using the ferry services. If you wish to use the hydrofoil or catamaran services when holding a day-pass, it is necessary to purchase a supplementary fare ticket. If you’re traveling around Italy by train, you need to know that these little towns don’t have a train station, so you have a few options for nearby stations to aim for, after which you’ll need to catch a ferry. From Milan, you can take the train to Varenna. The train trip is roughly one hour, and then you’ll walk from the train station down to the ferry dock to catch a boat for the trip across the lake. A final option is to take the train to the town of Como, located at the southern tip of one of the legs of the lake. The train trip is about an hour, and then take either a bus or a hydrofoil. Between March and October is the ideal time to holiday here. Water sports like water-skiing, sailing and windsurfingare are big attractions and azaleas, rhododendrons, camellias make for a stunning display during Spring and Summer. 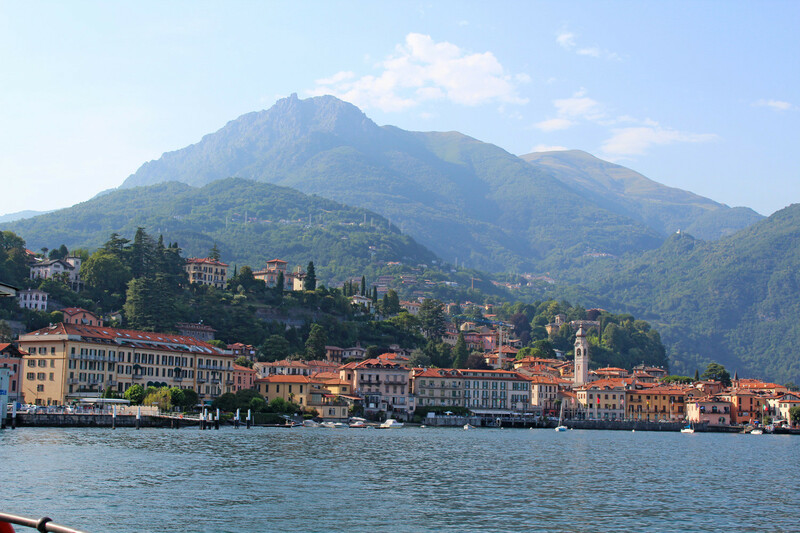 Although Lake Como is moments from the Swiss border, the climate is generally mild and sunny. Now you’re all set for relaxing days in the sunshine. Happy Travels! 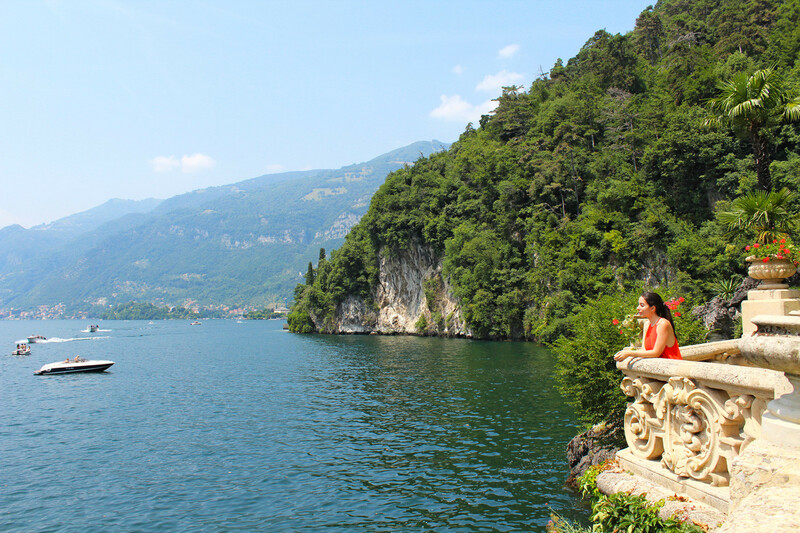 Have you been to Lake Como?